Bali, Indonesia. 20 January 2019. Here’s a shocker – some 1.3 billion tonnes of food is dumped or left to rot across the world, every year. That’s about 30% of the total food produce worldwide, despite the fact that over 800 million people are not getting enough to eat. Add to that the problem that all that rotting food (much of it in landfills) produces millions of tonnes of methane which is around 30 times worse than CO2 at exacerbating the greenhouse effect. Bali resorts are famous for their generous buffet meals - but this can mean a lot of food waste. Courtesy Club Med. So it stands to reason that hotels and resorts – those places with groaning, loaded buffet tables and plates full of unfinished food at the end of the day – could make a significant reduction to both waste and greenhouse gas emissions if they cut food waste by just a fraction. Especially given that around 1.4billion tourists dropped into a hotel, somewhere, last year. In Bali, they are doing the best they can. “In August 2016, we announced the launch of our Zero Waste to Landfill initiative,”say the managers at Alila Hotels & Resorts, Ubud. The objective was to cut out waste completely, but with a large slice of that being food waste that had previously gone to landfill on the land-scarce island. Alila had also noticed that food and runoff waste was leaching into farmlands and waterways used by the local communities. “Also, waste that does not make it to the landfill is either dumped on the side of the road, in rivers or ends up in the ocean or washed up on beaches,” they add. 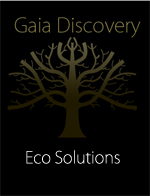 Alila’s managers decided to address this growing environmental threat, tackling waste at its source and recycling it. The centrepiece of its approach is a dedicated Integrated Sustainable Resource Recovery Facility (iSuRRF); an on-site laboratory where all waste streams are sorted and channelled into secondary products and services. This helps the efficient operation of a comprehensive waste composting system, as well as a permaculture organic garden that provides a sustainable, self-sufficient supply of fresh produce to the hotel kitchen. Alila’s permaculture gardens use other waste streams to form the beds - like waste cardboard and coconut husks. Courtesy Alila. For other waste like plastics, paper, cardboard, glass and ceramics, other options are used. Most are shredded and crushed to produce aggregate, sand and fibre, or reused to produce green building materials for the garden. But one of the key platforms at Alila is its composting section in the organic garden. All organic waste is sorted and processed into compost in the special beds. This is then put back into the garden to produce organic food for the kitchen; literally from the garden to plate. Better still, this allows guests to participate in organic cooking classes using home-grown produce, as well as allowing them to discover how to design their own permaculture garden using the lessons learned from the Alila experience. Alila’s organic gardens supply much of the produce for the resort’s kitchens. Courtesy Alila. “Our permaculturist (created) a sustainable smart garden, but also one that melded beautifully to the landscape and is now the showcase for our guests and pride of the team,” said Dwayne Cheer, Executive Chef at Alila Villas Soori, also in Bali. Across the other side of the island of Bali, at a resort a world away from Alila’s exclusive intimacy, Club Med sits in 20 acres with almost 400 rooms waiting for its guests. In some ways, coping with food waste on such a potentially massive scale is much harder than at Alila. And Club Med’s task is made more testing due to its famous all-you-can-eat buffets that have to cater for hundreds of hungry guests and their children. “We are on a mission to connect the commercial kitchen, create a movement of chefs and inspire others to see that food is too valuable to waste,” explains Maxime Pourrat, supplier of a specialist software program called Winnow. The Winnow software connects Club Med’s kitchen to a cloud-based system that uses a digital scale and a linked tablet. Using any bin, team members throw food away in the usual way. The weight is recorded automatically by the scale, and the chef selects the food and the reason for throwing it from a menu on the tablet. At the end of the day, the software analyses and pinpoints which items are causing the most waste. “This gives chefs the information necessary to drive improvements in their processes and cut food waste in half, saving money and reducing their environmental footprint at the same time,” says Pourrat. Children get to play with produce and cooking at Club Med. Courtesy Club Med. Since implementing the system, Club Med has seen a reduction of 56% in waste – the equivalent of 68,000 meals saved over the course of a year. This has, they say, significantly reduced the negative impact of food waste and methane on the environment. Better still for the management, it has saved some IDR 420,000,000 (US$28,700) each year in reduced food costs. 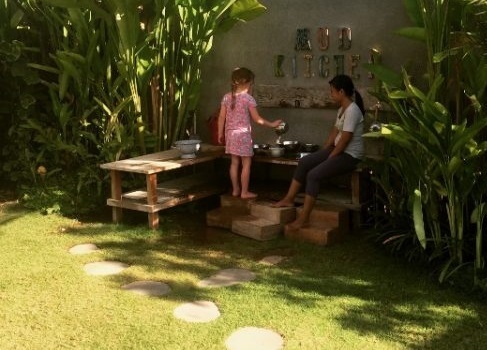 As a bonus, Club Med has been able to link its kitchens to a teaching garden. There, holidaying children have a hand in growing vegetables and herbs, to foster a sense of responsibility and a strong regard for the environment. At the end of each gardening activity, they are encouraged to write a pledge on a leaf to not throw food away unnecessarily.